AARP Chase Credit Card Worth It? 3% unlimited cash back on gas, restaurant, fast food and dining. 1% cash back to all other purchases. You can earn unlimited cash back with the card. 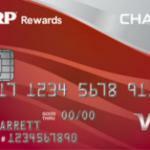 No annual fee on AARP Chase Credit Card. $100 sign up bonus is not very attractive for consumers. There is high interest rate for purchases, cash advance and balance transfer. 3% extra payment for foreign transactions. Balance transfer and cash advance fees are too much. 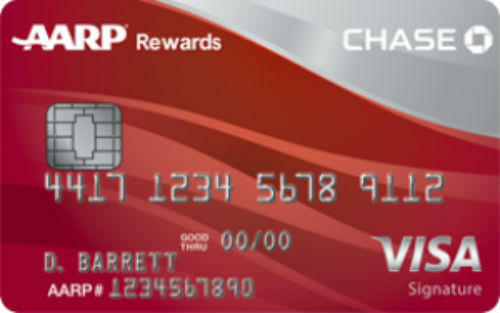 AARP Chase Credit Card is a card with cash back rewards. You are going to save 3% on your gas, restaurant, fast food and dining purchases with AARP. ou will also save 1% on other purchases with this card. Additionally you are going to get $100 cash back bonus with the card. Minimum APR of the card is very high, so this card won’t be good for those who has excellent or good credit card score. Disadvantages of this card is high balance transfer fee and APR, foreign transaction fee. The sign up bonus could be higher since $100 cash back bonus is not attractive at all. We think that you have much better choices than AARP Chase Credit Card since this not very beneficial. 3% unlimited cash back on those categories are still considerable. However it is very hard to get benefits from the card with current APRs. Yearly interest rate for Balance Transfer and Purchase is maximum 24.99% and minimum 18.24%. Maximum rate can be good if you don’t have a good credit score but maximum interest rate disappointing. Besides, if you ever cash advance or balance transfer with this card, it won’t worth it at all. If you even spend for significant amount of cash for gas or another 3% cash back category, with current interest rates it won’t be profitable for you. You can see rates and fees of the card below. There is also editor scores for the card. 18.24% – 24.99% %3 cash back on restaurant, dining, fast food, gas purchases. %1 cash back to other purchases. Please feel free to add your review for AARP Chase Credit Card. You can also read user reviews below.